Have you ever thought about the significance of this number? The first thing that comes to mind for me is Christmas– the 25th day of December, set aside for celebration of our Savior’s birth, giving to the one’s we love, and receiving the fullness of that joyful day! There are so many ways to give at Christmas, and as many of you can attest to, there’s SO much to do! This Saturday, we will have around 400 single moms on the campus of Long Hollow for The Gift. They will come for a day of rest, renewal, and retreat! It’s an entire day to bless these ladies who are on 24/7. One thing they receive each year is a $25 gift card to Target or Walmart. With these gift cards they purchase gifts for their children, gas for their cars or food for their homes. As of right now, we are in need of 300 gift cards before Saturday. 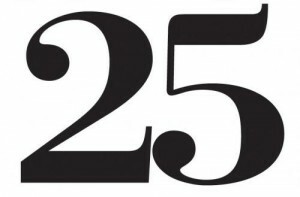 Would you take the “25 challenge”? 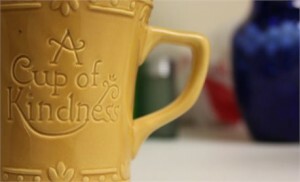 Would you skip 5 trips to Starbucks in order to bless a single mom? Would you buy a few less stocking stuffers in order to fill the stock of another child? Would you eat at home one night and use that money to bless another home? 25 isn’t much when we consider what Jesus has done for us. There’s SO much for us to give to Him. Don’t. Miss. Him. Let’s slow down this holiday season and truly take it in. Embrace the scenery, sniff the fresh Christmas, enjoy a cup of hot cocoa and spend time thanking God for all He’s done…and give in a new, unique way. We can NEVER out-thank or out-give God. He is too good and too great. May we see others outside of our comfort zone in a new way this Christmas.Take the “25 challenge” and trust God with the results. That one step of obedience could be the saving grace for one mom this Christmas. Oh, God, open the eyes of our heart to give more than we planned. Open our hands to let go of our possessions. Open our mouths to speak of your glory. Do a marvelous and new work this Christmas. Change us. And change others. For YOU are worth it ALL!